Academic qualifications are important and so is financial education. The number one problem of the present generation and economy is the lack of financial literacy. It is important to make students financially aware and empower them to manage money effectively to achieve financial well-being. According to Financial Literacy & Inclusion Survey, conducted by the National Centre for Financial Education (NCFE) in 2014, only 20% Indians are Financially Literate. NCFE, a joint initiative of financial regulators, has taken the responsibility of spreading financial education across all sections of society with the vision of creating A Financially Aware and Empowered India. By providing financial education at a young age we can help students to develop the right attitude towards money which will make them responsible citizens, facilitating their full participation in society. Financial Education is needed to improve the understanding of basic financial concepts and their use in daily life. There is a need to know about various financial products and to become aware of financial risks and opportunities to enable each one of us to make informed choices so that in return we can improve our financial well-being. Financial education will help especially those who are financially excluded at present. The vision of Financial Education is to enable the students, at their level of need, to understand the role of money in their life, the need for and use of savings, advantages of using the formal financial sector, the various options to convert their savings into investments, and protection through insurance. Financial education is an essential life-skill for holistic development of each student. The programme is based on two pillars; education and awareness, and aims to establish a sustainable financial literacy campaign that will empower the entire generation. The Central Board of Secondary Education has developed Financial Education Curriculum for classes 6 to 10. The curriculum has been developed by adopting a functional approach. 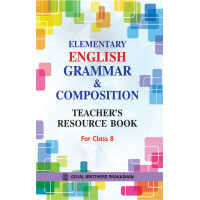 It has been developed in such a way that it integrates with the existing subjects for different classes. 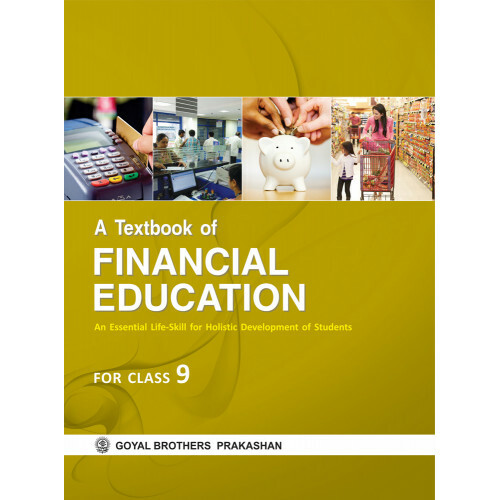 We are pleased to present our series A Textbook of Financial Education : An Essential Life-Skill for Holistic Development of Students for Classes 6 to 10. This series is strictly based on the Financial Education Course Content prepared by the Central Board of Secondary Education, New Delhi. We hope this series will improve the financial skills of students and empower them to make informed judgements and decisions regarding the use and management of money. These financial skills will further improve the quality of life and standard of living of Money Smart Students. Assignment In Political Science For Class 7.. Personality Development & Soft Skills For Class XII..